smartSTRIKE pro is the perfect charge and sync cable if you have a Lightning and microUSB device. smartSTRIKE pro is the perfect charge and sync cable if you have a Lightning and microUSB device. Nearly any smartphone, tablet, or other portable device will work with this 2-in-1 cable. This retractable cable is compact and portable. A slim-barrel design ensures that you can use smartSTRIKE pro with nearly any case, even backup battery packs. 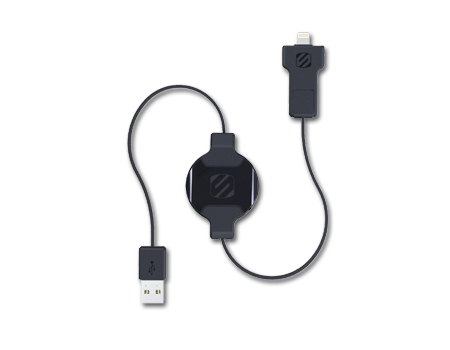 Three feet of cable length gives you the freedom to use your device while charging or syncing.